Packable enough for emergency use but durable and protective enough for harsh mountain environments, the Black Diamond Liquid Point Pants offer the streamlined waterproof breathable protection of GORE-TEX Paclite product technology. Our lightest GORE-TEX shell pants, the Liquid Point Pants feature an internal elastic waistband with integrated drawcord for a secure fit. A rear zip pocket stores small items, while the Hypalon cord grommets and integrated boot-lace hooks keep the pants secured around your footwear. 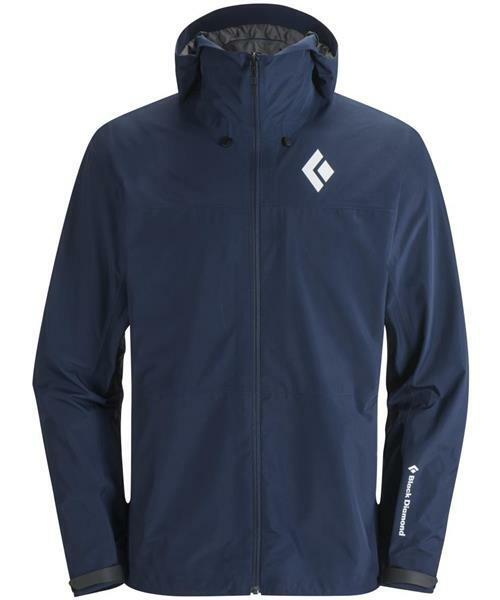 For stormy high-output pursuits, the ¾-length side zips provide fast, two-way venting.